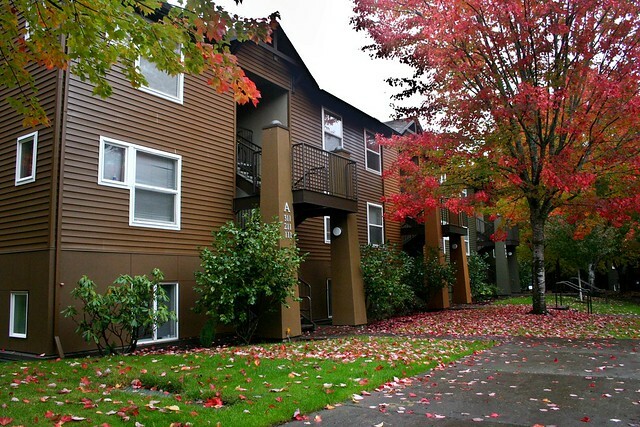 The Vandervelden Court Apartments serve as home for Pacific University students that are 20 years old or older prior to the start of the Fall term or have fulfilled the University's two-year residency requirement. Named for Forest Grove businessman and philanthropist Joe Vandervelden '37, the furnished apartments feature four bedrooms, two bathrooms, a kitchen and living area. Vandervelden Court, located on the north side of campus near the Stoller Center, offers students a unique, independent living environment. Students living in Vandervelden are responsible for setting many of the parameters within their community. The University Code of Conduct and all University and Residence Hall policies do apply, however. This complex houses students that are 20 years old or older prior to the start of the Fall term or have fulfilled the University's two-year residency requirement. Each apartment has four single bedrooms, two full bathrooms, and a full size kitchen open to the living room. This apartment has a sleeping/living room, full-size kitchen and bath.